In a moment of curious nostalgia, I found myself thinking about Record Players. In this world of streaming on-demand music, I cast my mind back across the vast expanse of time to the booming sound of ABBA filling my family home (🎶 🎶 money, money, money!). I found myself asking, how would records sound compared to Alexa, Pandora, and iTunes? So I went online looking for a record player and some speakers. Apparently, I am not alone in my curiosity, there is a range of players for sale from many thousands of dollars to quite cheap. I settled on an Audio-Technica player along with some Edifier Speakers. I picked up some old records from Second Blessing and waited impatiently for the player and speakers to arrive. Upon delivery, I almost immediately set them up and chose Mahalia Jackson’s, ‘Bless the House’ as my test record. R eleased in 1956, I thought Mahalia’s soaring voice would really test the system. 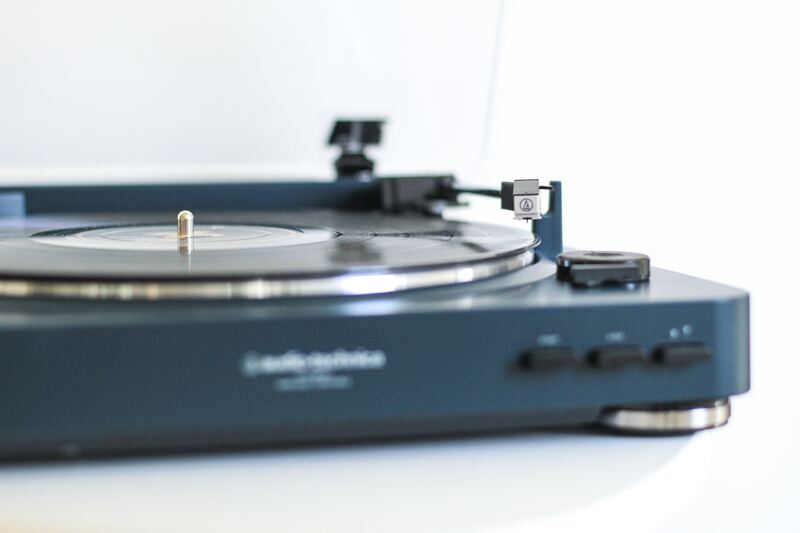 With a press of a button, the stylus arm made its way over to answering my much-anticipated question, ‘how would a record compare to the digital offerings?’ Loud crackling filled my room, followed by the most extraordinary sound! Though the album was 62 years old, the quality of the music was so much better than anything I could recall hearing. I was shocked, listening intently to the soaring gospel melodies. It was clearer, crisper and somehow a much more full sound. How could it be that this old technology is far superior to what we have today? Then I realized, over time we have compromised quality for convenience. We can get music in an instant and play it forever, store thousands of songs on our device, and cherry-pick songs from different albums. But for the sake of all of this, quality has suffered. This got me thinking about other areas where I am heavily reliant on technology, my smartphone, social media, GPS etc.. I welcome the convenience that they bring, but at what cost? Recently I quit social media (see here : Announcement – A Big Change) which for over a decade I defended as a marvelous way of staying in touch. Since quitting I have realized that social media enabled me to be involved in people’s lives, but the involvement was mostly shallow, rarely going deep. The quality was not the best. In my post-social media phase, I am now re-learning how to be present with people, how best to care for those I interact with. I look forward to playing records and to deepening my love and support of those God leads me to. I have a record players and I was thankful to my mother who gave me old Beatles vinyls. My stepfather found them at a flea market and had them before he died. He got me into the Beatles so I will treasure those forever! Oh they would be amazing! Nice, I like your site.